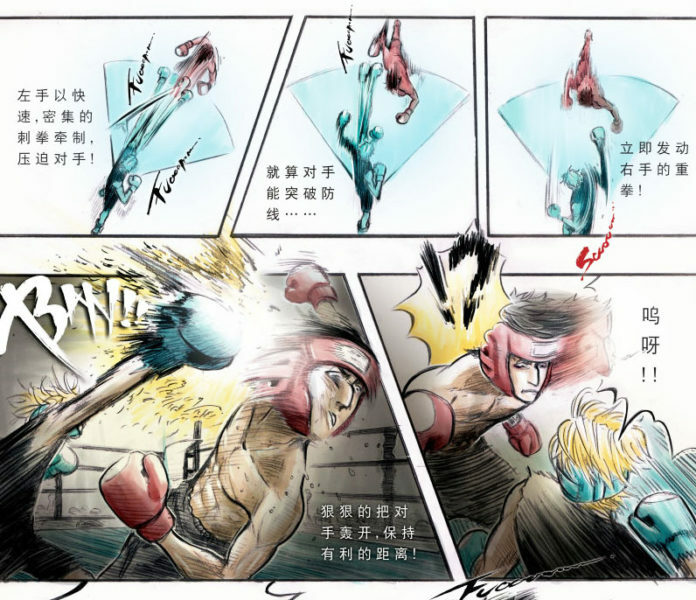 China King of Fighting was created by a pro boxer-turned-cartoonist, who tells the life story of boxing living legend Zou Shiming after they befriend one another in the ring. Zou, commonly hailed as China’s most successful boxer, is famous for having won Olympic gold twice in a row, as well as winning and defending the WBO flyweight title for a number of years. Graphic memoirs are not a mainstay in the Chinese comics world, so this graphic novel two-book set immediately caught my eye when I came across it at the Hong Kong Book Fair a few years ago. It’s no surprise then that China King of Fighting doesn’t follow the conventions of standard Western graphic memoirs. Its art style – long, flowing motion lines and an emphasis on action – resembles that of 90s Hong Kong martial arts comics, while its episodic plot structure centered around fighting is more akin to a serial action comic than the usually introspective biographical one. 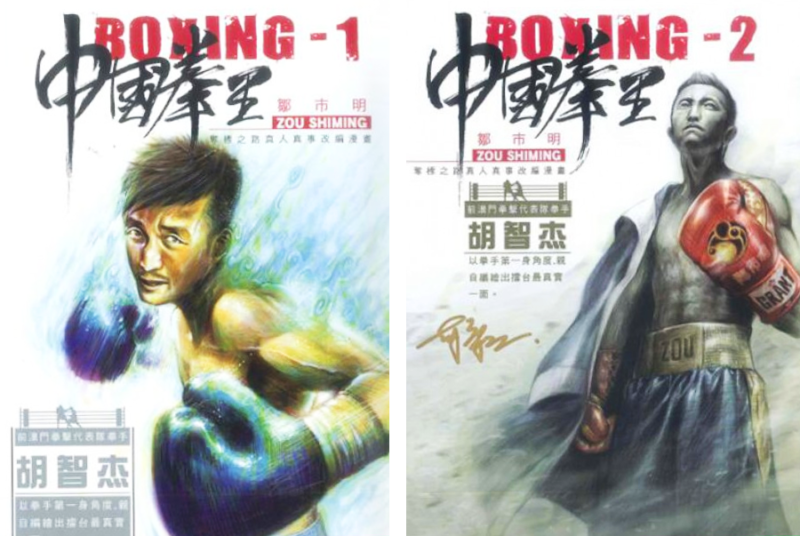 Books one and two of China King of Fighting follows Zou as he leaves home, barely skidding past through the entrance examinations to enter the regional/state athletes’ boxing school. As we watch him train, the plot progression takes a pattern familiar to readers of shonen manga: boys/men train, fight, overcome hurdles (whilst shedding sweat and tears), rinse and repeat. 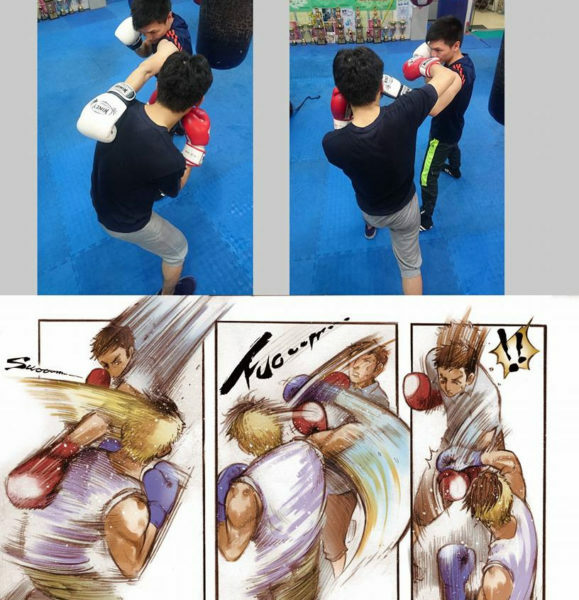 As Zou’s early life is a pretty straightforward one – he’s the good-natured, short underdog who advances through grit and perseverance – there are definite moments where China King of Fighting feels like a non-fiction, Chinese version of Hajime No Ippo (which also stars a short, good-natured and hardworking underdog). Where it does stray from the latter is in its nationalistic fervor: the book forcefully ties Zou’s rise to the rise of China on the world stage. These lionizing overtones unfortunately distract from Zou’s life story, elevating him into an abstract national hero rather than a fallible and real human being. As such, China King of Fighting is a celebration of a Zou’s achievements and does not yet delve into any deeper moral quandaries or complex themes. However, trying to find literary depth is perhaps missing the point, because with China King of Fighting, the action is where it shines. Despite the complicated choreography and abundant use of motion lines, the fight sequences are surprisingly easy to follow. Wu’s precision and use of composition during the books’ fights are commendable. As a result, the actions, the boxers back and forths, becomes breathtaking at times. 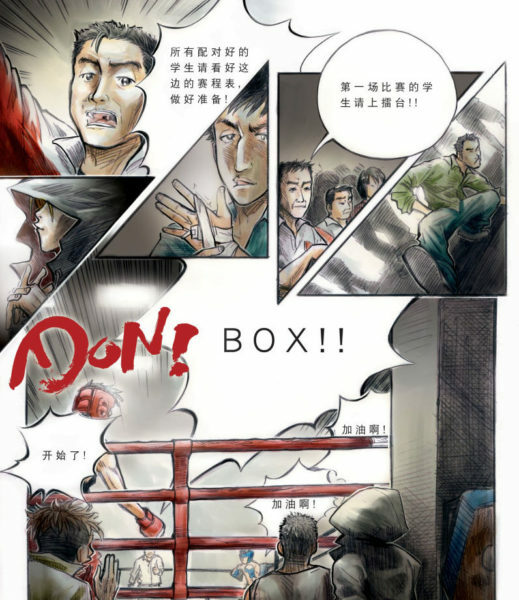 On top of this, Wu has made it his personal mission to use these comics to educate readers about boxing: every volume is named after a boxing technique, which is introduced in situ through a series of matches. These analytical elements adds a dimension to the action, making it more lively by bringing readers ever closer into the world of boxing. Image from Wu’s Facebook page. Sadly, books one and two are all that we have from this promising series. The last volume was published in 2016, and I wasn’t able to find any news about the future of the series. Given the number of producers and assistants listed on the credits page (each book even includes a full-page letter from the executive producer) China King of Fighting might simply have been too expensive to continue making. This is a shame – as the series represents a unique blend of genres.